We are not a ‘one solution fits all’ company; with our expert in-house capabilities we provide a customised service to meet the specific needs of our customers. Our capabilities cover the Design, Development, Manufacture, Test and Integration of customised LED modules. One of our core strengths is our ability to develop complete systems in-house; to enable this our interdisciplinary development team comprises experienced optical, mechanical, hardware, firmware and software engineers. This approach leads to reduced complexity, shorter delivery times and competitive costs. Many of the products we’ve produced that are based on our hybrid and monolithic LED technology incorporate drive electronics into the same package as the LEDs. We have extensive experience in power management, mixed-mode ASIC and FPGA programming. 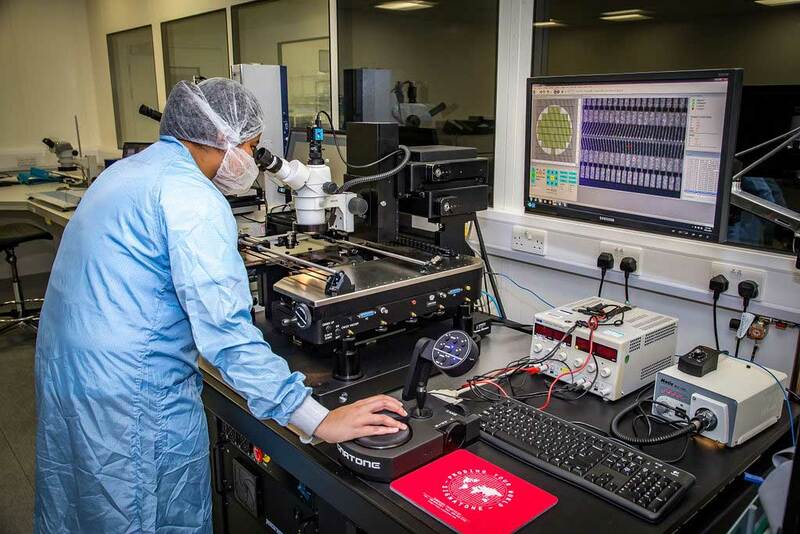 Our LED development team is located at a state of the art wafer processing facility within the UK Government’s Science and Technology Facilities Council (STFC) Rutherford Appleton Laboratory. Drawing upon a wealth of semiconductor processing experience they develop customer specific LED chips using a range of advanced materials ranging from Infra-Red to the Ultra Violet region of the spectrum.